As a huge advocate for online privacy (as much as anyone can reasonably expect), I don’t often show pictures of myself or my children, but I thought this was important to show. 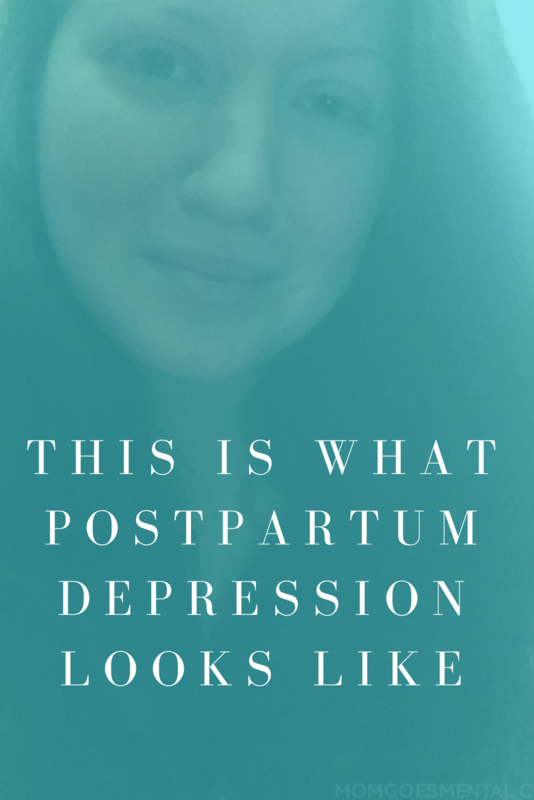 This is what postpartum depression looks like. 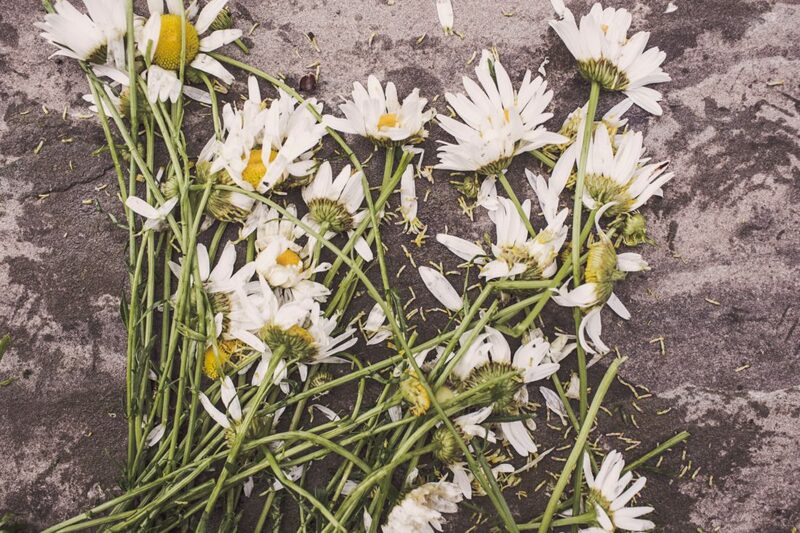 I recently spoke about being hit by it like a freight train, and that’s how it felt at first. Looking back now, I can see it started months and months ago, loathe as I am to admit it. At first, all you might see is a tired, sad mom taking a grainy photo of herself in the middle of the night. Those bags, dulled by the dim lighting of my bedroom, are from sleeping 1-3 hours at a time for the last two weeks. It’s 3 am, and today is the worst. I haven’t slept in over 24 hours. The exhaustion that makes my face look and feel heavy is from fixating on all the tasks that needed to be done without a thought for how little I was sleeping or eating or how my family could be helping. My hair is clean and brushed because I wanted to be clean when I died. I feel waves of intense sadness, worthlessness, and hopelessness. In between, I just feel numb. My eyes are puffy and bloodshot from crying for hours when nothing is outwardly wrong. The tears are an expression of the hopeless I feel and how tired I am of keeping it all together and staying strong. The look in my eyes is the look of feeling utterly broken. It’s funny in a dark sort of way that all this hit me days before the announcements of the latest celebrity suicides of Kate Spade and Anthony Bourdain. Suicide rates are up and the budget for mental health spending from government programs is down. This doesn’t exactly help with the hopelessness I feel. Sometimes it’s all consuming, fed by the wealth of knowledge I have about the awful state of the mental health system in this country. In other moments, I feel almost like myself again. Tired and sad, but closer to stable than I have been. I blog, go to work, make dinner, and fulfill the myriad of commitments I’d already made. I shipped out Oxford Momma boxes on time and coordinated upcoming brand partnerships for Mom Goes Mental. It comes and goes, this clarity, and I think that’s characteristic of a lot of mental illnesses. Just because you’re suicidal doesn’t mean you are actively looking for a way to kill yourself. Just because you’re depressed or anxious doesn’t mean you’re completely dysfunctional all day. Like a heavy rain storm where the downpour waxes and wanes. I spent a lot of time with my therapist this week and have a lot more time with her in the weeks ahead. My husband is trying his best to understand what I’m going through and be supportive, and I tell him that it’s like the rational and emotional parts of my brain have stopped communicating. I’m still journaling, and in my moments of clarity, I write notes to myself. Since taking these photos, I find myself staring at my reflection in the mirror more. I don’t stare out of vanity or to look for some flaw. I stare at my face. It’s the same face I’ve had my whole life. I know the freckle by my nose that appeared a decade ago, and I see the new lines I’ve earned with age and (hopefully) wisdom. But over it all there is this new mask of deep unhappiness and worry. Maybe it’s been there all along, and I just refused to acknowledge that it was there. Maybe it is new. I think I stare at my face hoping to see that blurry mask slowly disappearing. Maybe I stare into my own eyes hoping for a glimmer of hope or life or a realization that it’ll be okay one day. I don’t see it yet… but I do keep looking. Thank you so much, Ivy. I don’t feel it much these days, but I think it’s important to share what I’ve been going through. I so appreciate the support.